When we talked about dramatic play, we found it was heavily character-driven instead of action-driven. When playing action campaigns, there are ideas you must balance. The first things to consider are the action scenes of the pulp genre and tactical play; imagine your characters in action while building them. You also need to have a good grip on the rules, so you can stay up with the other Players and match the fast pace of action games. Speaking of the Players, since these games focus on goal accomplishments, it's important to remember that your missions will require teamwork. As I started to write section, the old Mr. Roger’s song, “Who are the People in your Neighborhood? came to mind, but in this case it was “Who are the People in the Gaming Group?” For some of us they are just acquaintances, but they are often our best friends and loved ones; and let's not forget our “frienemies”―for they too inhabit our neighborhood. We have talked about creating a celebration; now it's time to think about the celebrating. I wanted to simply entitle this piece “Celebrate Good Times,” but if you think about it, not all celebrations are good times. Some are somber occasions, some are evil revelries, and some are just gatherings. Some of them get perverted over time, picking up new meanings and changing into new celebrations. Keep in mind that there are two formative aspects of celebrations in our games: Player-designed celebrations and GM-designed celebrations. Howdy, Adventurers. I started this blog because statements like “I believe a good game depends on the GM” seemed so wrong to me. Just do the math. 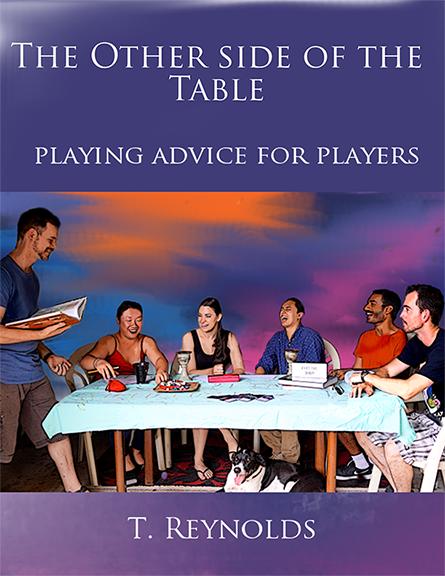 A typical game table has 5 people around the table; 4 are players, the other is the GM. If four-fifths of the table are doing nothing, the GM just created the background, theme, mood and setting for a novel without the actions of characters. What is the responsibility of the players to the setting? Let’s start from the top. What do the players do? With such a fundamental question, it’s best to start with some basic definitions. Hello, Fellow Players: Welcome to the Other Side of the Table. 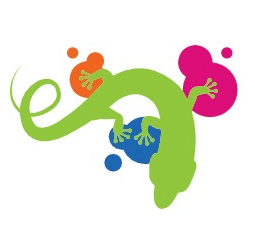 I thought, an introduction to the blog is needed so you know where I am going. Anyone who reads roleplaying blogs or listen to podcasts, or view video blogs, knows many cover how to be the best game master, while only a few cover how to be the best player. This strikes me as odd, considering everyone knows there are more players than game masters. You would think the hobby would focus on players and playing. That’s why we are here. I thought about the title for a while.